He’s been given an unparalleled opportunity to alienate old friends and create new enemies at the point where the world of magic and that of privilege intersect. Assuming he survives the week…. The Rivers / PC Grant series is in my opinion one of the best, most original and funny series i have read in the last 5 years, starting with Rivers of London it erupted into my reading world as a breath of fresh air and proceeded to wow until what i felt was a dip in book 4 Broken Homes. Fox Glove summer in 2014 was almost a return to form, but with its escape from London it both lost some of its sparkle, but also gained some new expansiveness, but for all that i have still been an avid reader eager for each and every book. 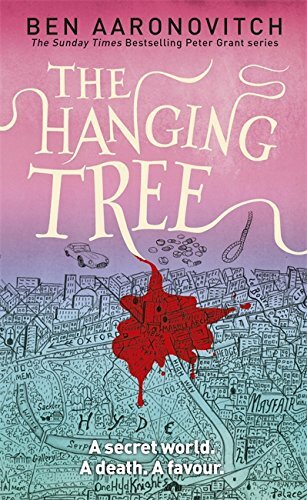 The gap from then to the eagerly anticipated Hanging Tree, a book that seemed to not to want to come out has been longer than hoped for, but, it has finally ended and the book has arrived. The story/plot was everything i could have hoped for. Peter Grant is back to his funny sarcastic self, plodding through life shrugging off the spectacular events and turns his life takes with a casual nonchalance as if they were boring trips to the super market. The magical events/ escapades of spirits, gods and magic users of no more peculiarity than the average office job. Its this casual flippancy that gives the book its casual humour and still manages to build an exciting fast paced plot line often with dire consequences for property, life and limb. 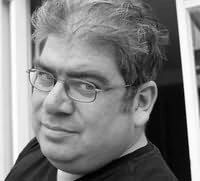 As always when i read a Ben Aaronovitch i’m left with a feeling that the writer is just that bit smarter than the rest of us, he is Nightingale, the one who knows and see’s more than the rest of us, but can only impart what we are ready to see and learn. Giving us a brilliantly complex and yet startling simple story of Good v Evil, Copper v Criminal…. but if you scratch away the veneer of civilization and look behind the scenes at the world of magic the author has created the complexities grow, the shades of grey expand and the series leaves you stunned at the hugely complex world that Ben Aaronovitch has devised….. I for one would like to see some of the side stories hinted at: EG the war tales of Nightingale and how he ends up at etterberg and what actually happened during Operation Spatchcock.